Carry and protect your laptop in style with the Dell Premier Sleeve (M) – Precision 5520/5530/ XPS 15 9560/9570, which features a sleek, modern design you can take anywhere. 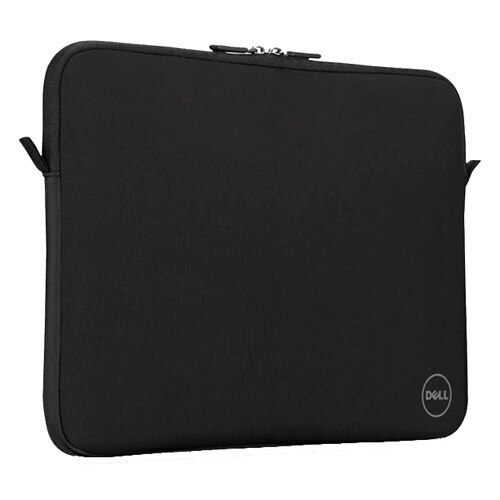 Carry and protect your laptop in style with the Dell Neoprene Sleeve (M) – Black, which features a sleek, modern design you can take anywhere. Made for mobility, the versatile sleeve can be used alone or as added protection when tucked inside another bag. The slim sleeve is lightweight for easy portability. Use it alone or slip it into another carrying case for hands-free travel. The sleeve provides extra padding when storing your laptop in a larger bag. Anti-scratch fleece lining and cushioning neoprene help protect your laptop from damaging elements, and two zip pulls ensure easy access. Purchase with confidence and rely on the protection of a 3-Year Limited Hardware Warrantyi from Dell for your Dell 15-inch Sleeve.